The job of leading the FRP process fell to Patel. To ensure success in a large organization with many stakeholders, the process had to be carefully structured. 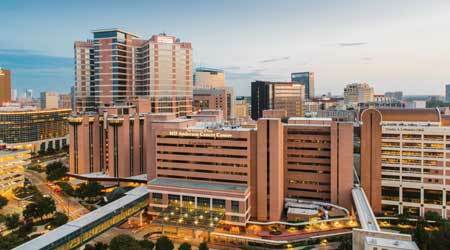 The various groups within MD Anderson’s operations and maintenance department were involved throughout the planning and implementation process for the renewal program. “The O&M groups also were integral to this process, which takes into account three or four areas,” Patel says. “One is a facility condition assessment that was conducted by a consultant. We also brought in our aesthetics team to provide updates on the condition of our environments. Identifying needs included using information on facility conditions to prioritize upgrades, improve conditions and support the center’s priorities and goals. The process required a system that enabled the team to assess and assign values to the facilities’ needs and projects.